EDIT: Giveaway is officially closed. Congratulations to Anna Wang for submitting the randomly chosen 665th entry. Are you getting ready for swimsuit season? My parents won us a free membership to the local YMCA so I've been working out more often ... and wearing less dangle earrings so I don't get hit in the face. If you also want to sparkle at the gym or the beach or anywhere in the universe, sprint over to the Hope Starbound Etsy shop. Jewelry artist (and computer scientist) Brittany makes stud earrings using professional grade resin, covered in a super-secret high shine lacquer. And here's a treat that won't go to your thighs - she's giving away two pairs of earrings from her handmade shop, winner's choice! I just have an addiction to glitter and peridot green, so I couldn't resist picking the pair above to share. Her big stud earrings are available in a rainbow of colors and patterns. A massive amount of them are galaxy jewelry, featuring starbursts, nebulas and planets. She loves space and thinks you should, too. After all, she's right - there is hope up there. Use the Rafflecopter below to enter to win jewelry giveaway before 11:59pm EST on April 5, 2013. Be sure to leave the mandatory comment on the blog post with the same name you use to fill out the Rafflecopter - all entries by winner must be easily verified or a new winner will be chosen. I love her GRACE - Green Glitter Earrings - Green Stud Earrings! They're so beautiful!! I love the JULIANNE - Damask Earrings! Love the Starburst Galaxy Earrings! http://www.etsy.com/listing/106557441/starburst-galaxy-earrings-stud-earrings? My favorite are the Starburst Galaxy Earrings, so magical! I love the BOLT and MARS ones ! Love the SATURN - Black Stud Earrings. I love the Blaise earrings! I love the American Flag earrings! How cute would those be to wear on the 4th? http://www.etsy.com/listing/107016034/america-american-flag-earrings-small? I like the laurel stud earrings. Love all the glitter studs as well as the Nila and Starburst! I like Hot Pink Glitter Earrings. I love the starburst galaxy earrings!! They are so dreamy. :) Thanks! I completely love all of them! specially galaxy ones..I love astronomy! so my favourite from all are maybe the jupiter earrings!! so cool! I like the SHAYLA - Tiny Stud Earrings. I really love this shop!!!! One of my fav http://www.etsy.com/listing/101967283/grace-green-glitter-earrings-green-stud? I love the ROSE studs. I like the TARANTULA - Galaxy Earrings ...ciao4now64 at yahoo dot com. my favorite earrings are "june"! 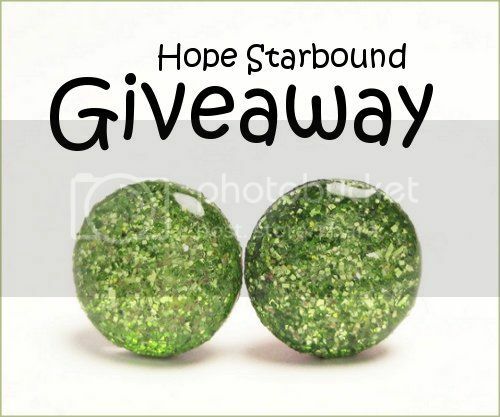 These earrings are awesome: http://www.etsy.com/listing/106557441/starburst-galaxy-earrings-stud-earrings? I love the flora,floral studs. They are so pretty. I really like the earth earrings! The retro PREENA studs are cute! Do i have to pick just one? Well Petula is very pretty i love them!! I think the galaxy earrings look really cool! Ooo- I love the Tally tiny stud blue glitter earrings! Those are so cute! The Galaxy earrings are so awesome!! I love the mars tiny stud earrings. SO Cute! The rainbow ones are my favorite. I like jisera, nila, ivy, and lots more. So fun! I love the Peri pair and the Earth pair. Beautiful! I like the BETSY - Pink Earrings - Resin Jewelry - Tiny Stud Earrings - Retro Print Earrings - Pink Stud Earrings - Pink Studs. I love the SHANNON - Pink Glitter Earrings. Christina - xrista@rock.com - I love the Starburst Galaxy earrings! I really love the Purple glitter studs and the Peridot glitter studs. The SHELLY - Silver Glitter Earrings will really go with all my stuff. The Starburst Galaxy earrings are my favorite - so pretty! I am in love with the color blue, and these earrings match me perfectly! I like the Nicole earrings. I love the Starburst Galaxy Earrings. I like the Grace green glitter earrings. I love the bubblegum tastic set! I love the Blaise stud earrings! I like the tarantula studs. Thanks for the chance. Baylee, that's the name I used for Rafflecopter. As you may know "Diamonds are a girls BFF"
I like the SHELLY earrings. I love the lizzie gold studs! Love the Julianne damask studs! I really like the ORION earrings. well they are really awesome!!! MINERVA - Tiny Stud Earrings and SWAN NEBULA - Galaxy Earrings are good enough to enhance one's personality. I really like the jeanette studs! My favorite is the Union Jack Earrings.